This content was sponsored by lovepotatoes.co.uk and potato.ie for their campaign Potatoes: More than a bit on the side. This is a recipe that I created in partnership with them because, you know how much I love the humble spud, and I believe that they are under rated and under used. I adore potatoes and was delighted to work with the campaign. Potatoes are my weakness. I adore them in all shapes and sizes. I look forward to the new potato season every year, I love little waxy ones in a salad, I love a boiled fluffy one with a little sea salt and butter, potato gnocchi are a joy, and crisps, well I am helpless in the face of some of them. Have you discovered purple potatoes yet? They are wonderful (but too hard to come by, lets change that!). Potatoes get a bad rap, but they are a great source of energy, high in fibre, low in fat and rich in vitamins C & B6 and potassium. They are speedy to prepare too, and can be as easy or difficult as you like. I love them diced and roasted with an egg and some herbs for brunch (along with whatever I fancy that day, be it chorizo, egg, or some peppers). I think the potato is perfect for a midweek supper or speedy weekend lunch. I grew up surrounded by potato farms, little pockets of joy in the Irish countryside. Now that I live in the UK I always seek out local varieties and try new things. Jersey Royals when in season, Maris Piper for mash, and in Ireland I love Kerrs Pinks and Golden Wonders. But I try everything, and I love finding heritage potatoes at my farmers market. Potatoes are a terrific vehicle for other things. Simple mash is superb, but what if you turned that into a pancake? Yes, what if you did that?! So easy, and I like to boil extra potatoes so that I can pancakes with the mash the next day. 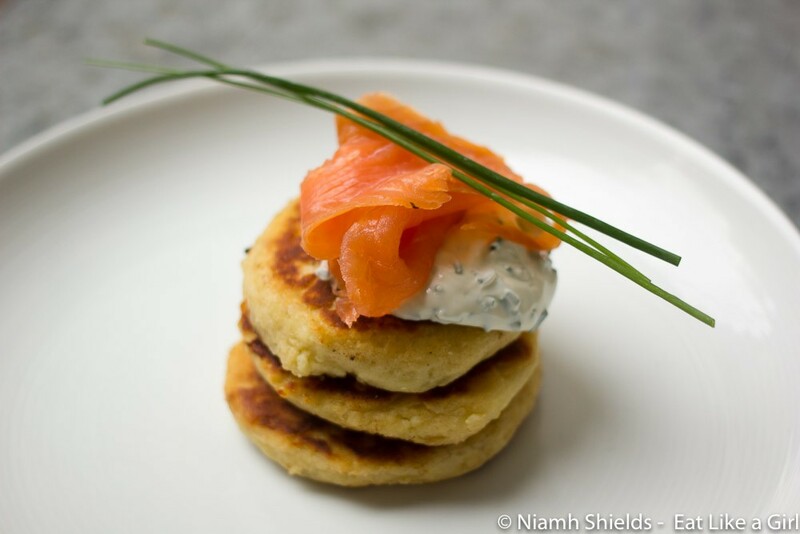 I base my recipe on Irish potato cakes, one of our best speedy recipes. You can serve them with meat also, of course, and you can serve them with vegetarian options too, they are also wonderful with a poached or fried egg. Try them with some ragu or chilli beef some time. Perfect! Tip: you can replace the cream cheese with creme fraiche for something a little lighter. Toss the leftover skins in a little oil and sea salt for wonderful crisp bites for after. Or even serve on top. Mash the potatoes with the butter and a generous pinch of salt and pepper. Add the flour and egg and mix throughly, then add the spring onions. Form a ball with the dough. Try not to overwork it, you just want it all to combine. Dust with flour and on a floured surface, shape the dough into a circle that is 1cm thick using your hands. Using a cutter or glass, shape the pancakes, reshaping the dough into a ball and flattening towards the end. Heat a little butter and oil over a medium heat in a frying pan. Fry the pancakes until brown on each side, then place on baking parchment in the oven for 15 minutes until cooked through. This is primarily to cook the flour through. 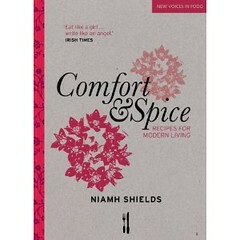 Serve immediately with the cream cheese, smoked salmon and chives. If you like, chop about a tablespoon of chives and put it through the cream cheese. Love these Niamh! Will definitely give them a go. One of your pix shows an egg in the mashed potato but it’s not listed in the ingredients ? Also, you mention 3 spring onions – do these get folded into the potato/flour mix before shaping ? YES – sorry, updated. Thanks for pointing out and enjoy the pancakes!